The East Sussex County Council project started with preliminary work in 2012, and the Taylor Woodrow Hochtief JV team has overcome a number of challenges including extreme weather, and one of most important finds of prehistoric remains in the UK dating back to the last ice age, to deliver this key asset for East Sussex. 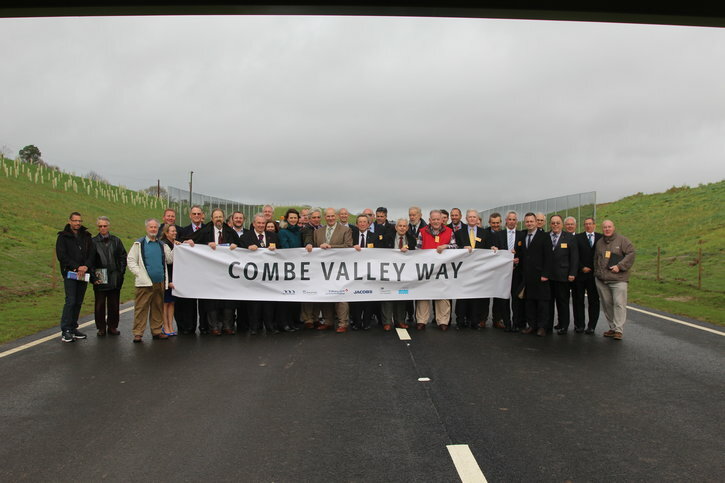 The team has constructed a single carriageway link road from the Belle junction in Bexhill to Queensway in Hastings, named Combe Valley Way. The road measures approximately 5.6km and included the construction of a number of bridge structures along the route. A number of new wildlife habitats have been created using sensitive landscaping works and a major tree and shrub planting programme is underway. New ‘greenways’ for walkers, cyclists and horse riders will be completed next year.